Windows 10 Mobile seems to be growing quite slowly as most of the Windows Phone 8.1 user has not joined Windows Insiders program to receive Windows 10 Mobile, it seems most of the Windows Phone are still unaware that they can try Windows 10 Mobile now and it almost “ready for public”. 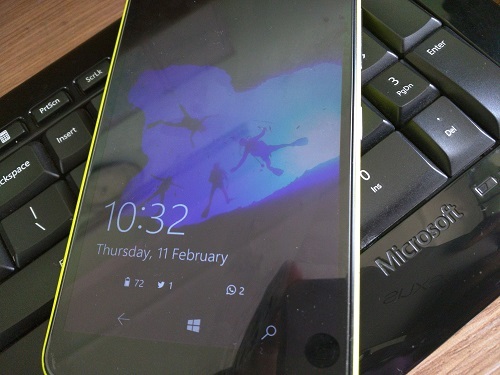 As reported by us today, Lumia 520 is still the most popular Windows Phone confirmed AdDuplex. 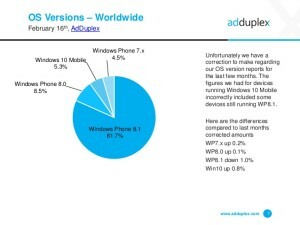 In the report, AdDuplex apologizes that the previous reports of Windows 10 Mobile market share were wrong. However, the newly updated report confirms Windows 10 Mobile is running on 5.3 % of Windows Phone Device. It is also worth to mention the market share of Windows 10 Mobile is up by 0.8 % by capturing Windows Phone 8.1 share.